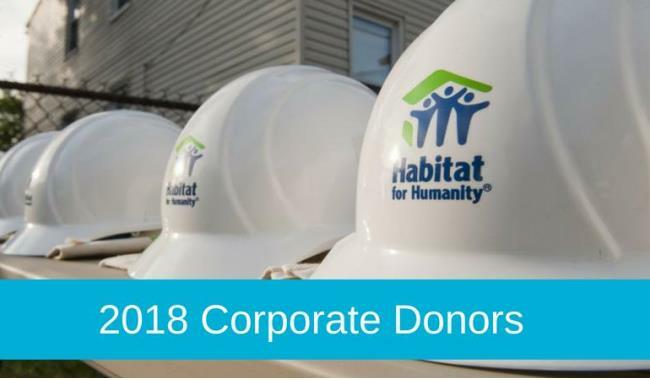 Corporate Donors offset construction costs of local Habitat for Humanity homes by sponsoring a full home or partial home build. Corporate Donors also give annual gifts and support specific fundraising campaigns, all with the goal of building safe, decent and affordable shelter throughout Chatham County. Benefits for Corporate Donors include press and media benefits, a tax-deductible donation made to better the local community, invitations to home build ceremonies with donor recognition, listing in our annual report, recognition on the Habitat Savannah website, and the option to participate in up to eight team build days throughout the year. For more information on giving levels and benefits, please contact the Fundraising and Marketing Manager at Development@HabitatSavannah.org.